If you’re driving a used car in Winnipeg and you’re looking to save some money during your regular maintenance and service appointments, you might be interested in used tires. 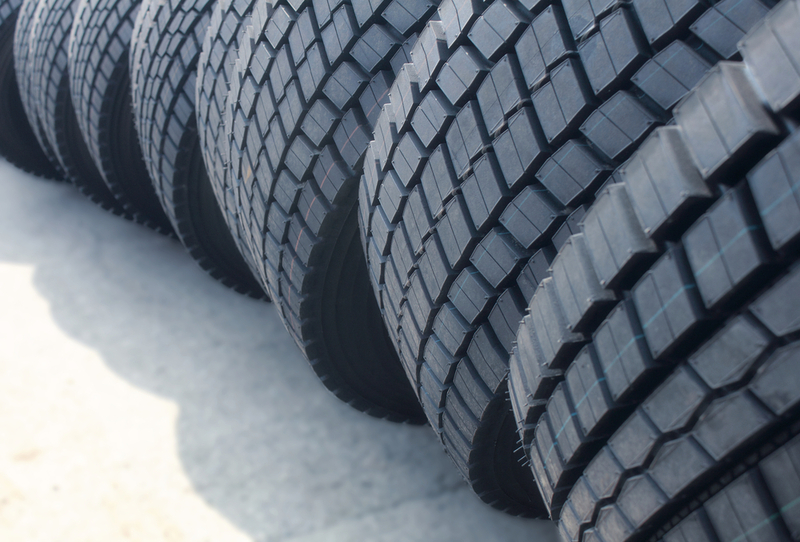 Used tires do offer a very inexpensive alternative to new tires. A single standard all-season tire can cost anywhere from $100-$350, depending on the size of the tire, the type of car or truck, and brand selected. Used tires, on the other hand, are usually $25-$100 – so they do offer significant cost savings when compared to new tires. But these cost savings have some people wondering – is it actually safe to buy used tires? In this article, we’ll take a look at the basics behind used tires, and answer 5 FAQs that Ride Time customers often have about used tires. 1. What Exactly Is A “Used Tire”? A “used tire” is exactly what it sounds like on the package – a tire that’s already been used! Whether from a car that’s been sold, a junker that’s been destroyed, or any other source, a “used tire” is any tire that has previously been driven on. Naturally, this means that there is a lot of variation in used tire quality. You could get a used tire that’s been driven for 20,000 kilometers, or one that’s had over 100,000 kilometers put on it – and sometimes, there’s no way to tell. However, undamaged used tires can easily last between 80,000 and 200,000 kilometers – so budget-minded individuals often turn to used tires in order to save some money. Used tires can be found at repair shops, gas stations, and some tire shops. 2. Are All Used Tires The Same? Not necessarily. First, let’s distinguish between used and remanufactured tires. Used tires are usually tires that have been damaged and then repaired, or have been taken off of cars that are headed for a junkyard. The quality of a used tire can vary quite widely, depending on the source, age, and manufacturer of the car. Remanufactured tires are different. Also known as “bead-to-bead remolding”, this process actually restores old tires. Essentially, this is the same process as crafting a new tire, but preserves the internal components of a tire (steel/polyester belts, sidewall, rims, etc). During remanufacturing, the casing is inspected and refurbished, and a new sidewall and tread are vulcanized directly to the casing and internal components, permanently bonding with the tire. On the exterior, a remanufactured tire is essentially the same as a new tire, though it maintains the same internal components. For those who are wary of buying used tires, remanufactured tires offer a great alternative – and they’re still less expensive than brand-new tires. 3. Are There Any Regulatory Standards For Used Tires? Yes. In Canada, any reputable tire shop will adhere to the guidelines set forth by the U.S. Tire Manufacturer’s Association. These guidelines set forth quality control and regulatory guidelines that are used to ensure that repaired and used tires are high-quality and safe. However, it’s important to note that tire shops aren’t required to adhere to these regulations. If you buy tires from a low-quality shop, you could be putting yourself at risk. 4. Are Used Tires As Safe As New Tires? This depends on the tire. Often, cars that have been in accidents or sold for scrap have nearly-new tires on them – and these are very safe. However, older tires do tend to have a lower overall level of performance. Used tires generally have a longer stopping distance, because their treads are more worn – and improperly repaired tires could put you at risk of a blowout. In a way, buying used tires is like buying a used car – whether or not you get a good one depends on who you shop from, if you do your homework, and if you take the time to understand the condition of the product you’re buying. 5. Can I Check The Age Of A Used Tire? Yes! The U.S. Department of Transportation adopted a “code system” that’s in use in Canada, and can be used to check the age and date of manufacture of any used tire. You can recognize this on the sidewall of the tire. There will be an 8-14 character code preceded by the word “DOT”. An example of a tire code would be “DOT U2LL LMLR5107”. The last 4 digits are what refer to the age of a tire. “51” refers to the week of the year in which the tire was manufactured – in this case, the 51st week of the year. “07” would refer to the year in which a tire was manufactured – in this case, 2007. This system makes it easy to see if tires are relatively new, which can be very helpful if you’re shopping for high-quality used tires. Come To Ride Time Today For Your Used Car Needs! At Ride Time, we sell a variety of used car parts and accessories – as well as a huge selection of used cars, trucks, and SUVs. If you need tires, come into our Winnipeg location today! We have a huge selection of brand-new tires, and we can also source high-quality used or remanufactured tires for your vehicle, if desired! We can also perform basic services like tire repairs, rotations, and balancing. So whether you’re interested in some new tires – or simply in need of a tire analysis – come in today! We’d be happy to take a look at your vehicle!